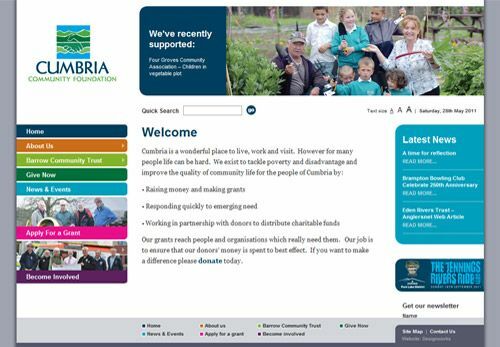 Cumbria Community Foundation’s website has been redesigned as a WordPress site. Cumbria Community Foundation is part of a national and international network of community foundations, that seek to support people and organisations wishing to invest in the local community. One of the main objectives was to make the site user-friendly especially for those wishing to donate or apply for a grant. The design and build of the site was part of our corporate membership.